A friend of mine runs Curiosity Creative, a centre for digital storytelling in the North East of England. She invited me to attend a workshop to create a story but the theme of the workshop was stories about the history of Newcastle and I realised that I wanted to try and tell a (sort of) story that used objects to explore why I’m fascinated by objects. So thought I would try to put it in a blog instead. 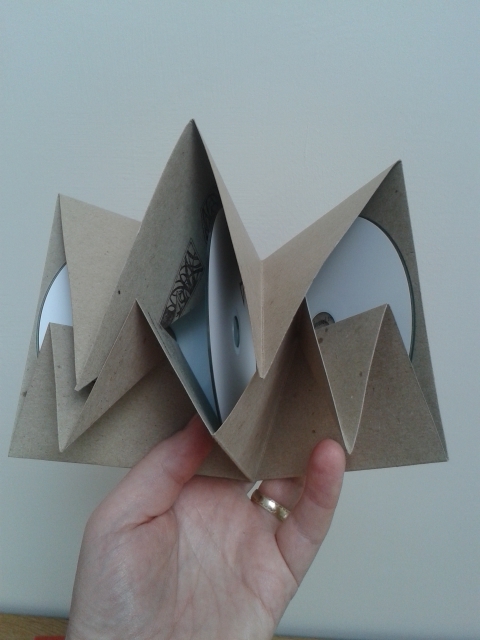 This is ‘Overheard in Doi Saket’ an album of field recordings from Thailand by Kate Carr. I bought it when it came out in 2014. It is the first (and, so far, only) album that I’ve bought which comes on a Micro SD card. The first albums that I bought were on cassette. Sleeve notes were, in retrospect, larger though my eyes would have been younger. I am wary of the idea that objects have agency, instead I prefer Chemero’s (2003) version of affordances. He argues that affordances emerge out of relationships between the capacities of the individual and the physical [and social] qualities of the environment. So, creating new technology changes the nature of the environment and, combined with my ageing eyes, new affordances emerge. 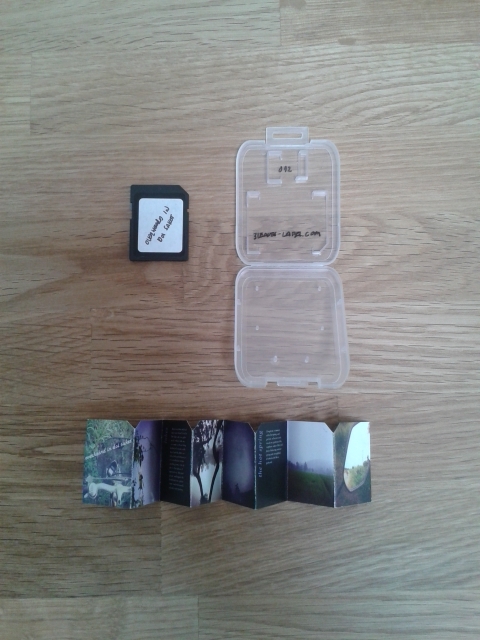 Cassettes came with their own affordances and practices. I probably took it all for granted when I was a teenager but it came to light in recent years as I watched my eldest child grapple with this unfamiliar technology. Cue an explanation of which buttons to press and the most timorous example of lifting a cassette out of the player and turning it round then before putting it back in. There is an on-going cassette music scene and it is possible that my children will get all retro on me, but it seems unlikely that they will ever need a pencil to listen to music. Nor will they sit by the radio to record their favourite singles. Or, sadly, wander down to the library to explore whatever musical randomness they have there. I am running the risk of getting all nostalgic but I think that all these experiences shape the way that we receive the music. The most obvious is the way that cassettes and records constrained our listening to 20, 30 or 45 minute chunks before forcing an interlude on us. This is something that my kids really don’t have to experience… apart from at tea-time when I generally choose the music. They also won’t get the dubious pleasure of walking into a dodgy, bootleg music store (like the one that used to exist on Oxford Road in Manchester) to order really rough recordings of concerts made on concealed tape recorders smuggled into the venue. However, what they probably will get is the emotional link with music and they will probably find, when they look back on their lives, how the music is nestled in a wider network of associated memories which give that music a deeper personal meaning. I started buying records around the age of 16. One of the first records that I bought was ‘Gone to Earth’ by David Sylvian. Everything about it was fabulous to me. The artwork was abstract and gorgeous. It was a double-vinyl album and the songs on the second record were all instrumental and unlike most music that I had hitherto encountered. 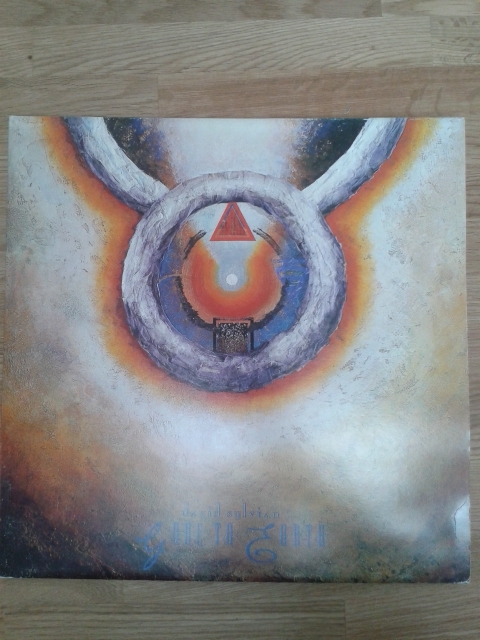 Front cover of ‘Gone to Earth’ by David Sylvian. 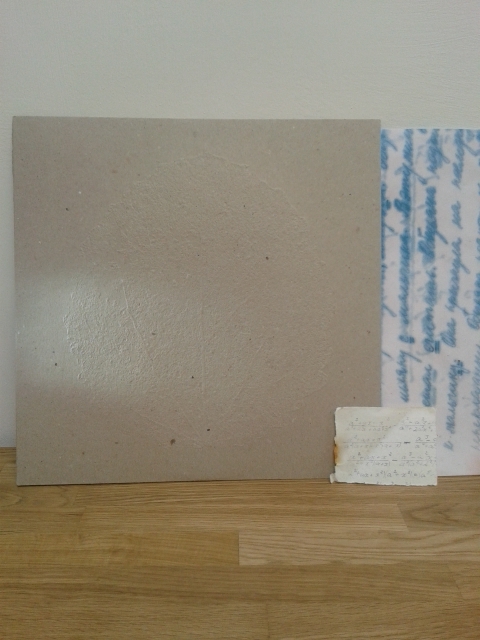 Inner gatefold sleeve of ‘Gone to Earth’ with ‘Overheard at Doi Saket’ for comparison. I am a sucker for the tiny, daily rituals that cohere around things. Take, for example, all the faff that comes with making an espresso. (No coffee pods for me!) Maybe the rituals create order, maybe they enforce a slower pace of doing things – I don’t know, but I relish them. Records came with lots of ritual especially the second-hand ones that I hunted down in record fairs: All that holding them up to the light to look for scratches and careful reading of sleeve notes, all that wiping down of the record surface before playing the album: I love it. Again, I only really became aware of all of this through my kids. I moved on to CDs, like most people did, from 1990 onwards. But with the resurgence of records in the last 5 years or so, I dug out my record player and some of my old records. Initially ‘the playing of the record’ was like a whole-family event. The kids gathered round to watch this strange ritual take place. They were slightly bewildered by the click-clack sound of the record player stopping and the need to turn the record over. But the records themselves were also changed by their sojourn in the loft or, rather, their sleeves were. The inner sleeves on ‘Gone to Earth’ now smell like an old library. This does not make me sad. The new focus on records is slightly different to when records were ‘normal’. There is a stronger focus on the physicality of the object. Stickers emphasise that the records are made with heavyweight vinyl and the contrast between the weight and solidity of records being made now compared to when they were mass-produced objects is palpable. Back to ‘Overheard in Doi Saket’, the album of field recordings. I got into field recordings after stumbling upon Framework Radio, via Resonance FM. Field recording attends to aspects of our experience of the environment that is often overlooked (oh, the joy of metaphor). The attention to the sonic environment and how that shapes our experience of place seemed to dovetail with my interest in how we experience objects and how they evoke memory. Framework Radio is produced by Patrick McGinley, who also produces field recordings and compositions under the name of ‘murmer’. His own work often focuses on this network of associations between sounds, physicality and memory. The Framework 500 album contains sounds of the album sleeves being made in McGinley’s local paper factor. Framework 500 – handmade and lovely. His own latest album is also an embodiment of these ideas. The thick paper sleeve is embossed with skeletons of leaves, enhancing its tactility. Each album comes with a fragment from abandoned noted books that McGinley found in a nearby ruined mill. The found objects reflect the found sounds used in the compositions on the album. Memory is alluded to throughout the object and the music. 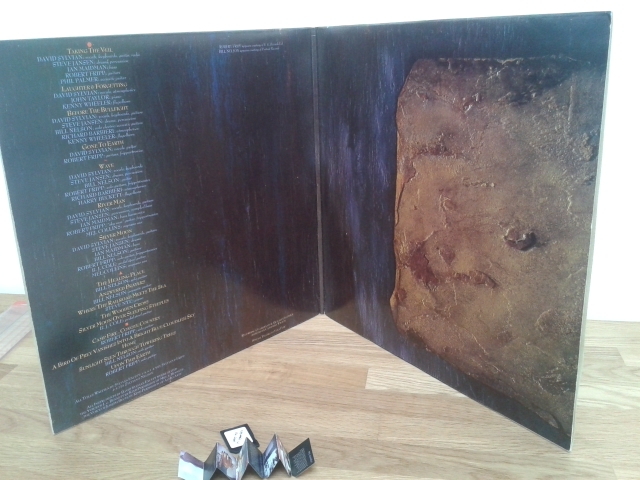 ‘Songs for Forgetting’ by murmer (with its very own forgotten fragment). This is the heart of my fascination with objects – they are ubiquitous and rich in meaning but, being unobtrusive, our interactions with them shape our daily life-experience in ways we don’t often reflect on unless, of course, you have children who oblige you to look at life anew. Chemero, A. (2003). An Outline of a Theory of Affordances. Ecological Psychology, 15(2), 181-195. This entry was posted in Objects. Bookmark the permalink.